Neb. Rev. Stat. Ann. § 45-602(1)-(2) (West, WESTLAW Second Reg. Sess. of the 98th Leg. (2004)). 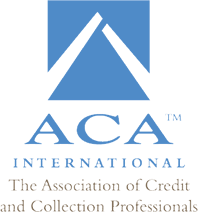 (3) Collection agency shall not mean or include (a) regular employees of a single creditor, (b) banks, (c) trust companies, (d) savings and loan associations, (e) building and loan associations, (f) abstract companies doing an escrow business, (g) duly licensed real estate brokers and agents when the claims or accounts being handled by such broker or agent are related to or are in connection with such brokers’ or agents’ regular real estate business, (h) express and telegraph companies subject to public regulation and supervision, (i) attorneys at law handling claims and collections in their own names and not operating a collection agency under the management of a layperson, (j) any person, firm, corporation, or association handling claims, accounts, or collections under an order or orders of any court, or (k) a person, firm, corporation, or association which, for valuable consideration, purchases accounts, claims, or demands of another and then, in such purchaser’s own name, proceeds to assert or collect such accounts, claims, or demands. Neb. Rev. Stat. Ann. § 45-602(3) (West, WESTLAW Second Reg. Sess. of the 98th Leg. (2004)).